In this era of the teenage grand prix driver, at 24 Paul di Resta is a relative latecomer, but he has the kind of CV that proves he deserves to be here. Having beaten Sebastian Vettel to the F3 Euro Series in 2006 - in the same team - he has spent the last four years with Mercedes in the DTM. That experience will stand him in good stead when it comes to working with a big team and executing race strategy, and his seat time for Force India during 2010 will prove invaluable. 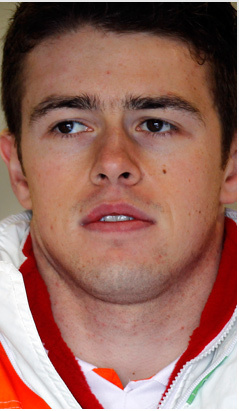 Scotland has a proud history in F1 and di Resta is eminently capable of adding to that legacy.